Sam Ly, the only Australian killed in the bombings, was in the UK with his long-term girlfriend on a working holiday when he was caught up in the Tavistock Square bomb blast. The 28-year-old computer worker was recovered from the wreckage of the bus with serious injuries. His father and nephew flew to London to be at his hospital bedside, but he died a week later on 14 July 2005. 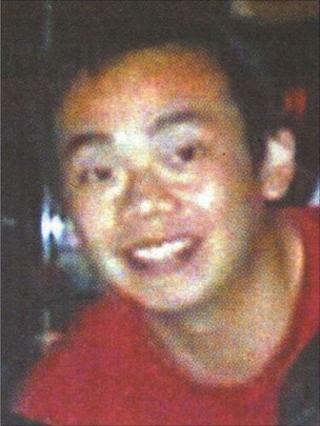 Mandy Ha, his girlfriend of nine years, accompanied his body back to Australia. Born in Vietnam in 1977, Sam was considered a rock by his friends and a considerate son by his father. When he was two, his family fled Vietnam by boat to Malaysia. Just over a year later they were living in Melbourne, Australia, as refugees. At five, Sam lost his mother, Huynh Chi, to breast cancer and was raised by his father and older sister. He attended St John's Primary School and later turned down a place at Melbourne High School to study at Collingwood College where his friends were going. His teachers recognised in him a quick-witted fast learner who was a people person. By 15 he was doing part-time work at McDonald's and supermarkets to support the family. He went on to La Trobe University and Monash University to read business and finance IT. He spoke Mandarin and did Chinese studies. It was in his first year at university that his relationship with Mandy Ha, whom he had known since primary school, began, and the couple soon moved in together. In 2003, they moved to London for a two-year working holiday, quickly establishing themselves in jobs and making friends. In a book of tributes to those killed in the 2005 bombings, Ms Ha is quoted as saying: "If it is possible to be taught how to love wholeheartedly and unselfishly, Sam was my teacher. "If there was anyone who inspired me to be more than I was, it was him." She also said he dreamed of having a daughter to love and dote on. In a statement given to the police in 2005, his father, Hi Ly, said Sam was thoughtful and considerate and had encouraged him to remarry, which he did in 1997. He said Sam's purpose for going to the UK was to try to earn more money to pay for his father in his old age. In the book of tributes, Sam was described by others as "solid" and "as stable as a rock", with a "boundless loyalty" to friends. After his death, memorial services in his home town of Melbourne reflected the mix of cultures which shaped Sam. They combined Buddhist and civil ceremonies and were conducted in English, Vietnamese and Cantonese. A night before the secular funeral service, 100 members of Melbourne's Vietnamese community held a prayer vigil in a chapel. As is traditional, incense, food and money were placed on an altar to help take Sam to the next life.